Why are dental implants in Mexico a valid consideration? According to the Centers for Disease Control and Prevention, about one-fourth of the American population over 65 years has lost all teeth. Tooth decay also affects about a quarter of the children’s population in the country. For different reasons, many Americans are losing their teeth. While earlier a quick-fix to missing teeth was unwieldy dentures, now there is the choice of getting dental implants, and more so, the choice of going on a medical trip for getting them cheap. WedMD defines implants as replacement tooth roots. They are not the actual tooth replacements, but rather the strong foundation where fixed, or even removable teeth that are created to match your natural teeth, will be placed. Dental implants compose of three parts. First, there is the implant itself, usually made out of titanium because it is a metal that is compatible with the body. The second part of the implant is the abutment, which is the part that fits in at the top of the post. Lastly, there is the crown, which is usually made out of porcelain. The success rate of dental implants is very high. According to WebMD, about 98% of dental implant operations turn out to be successful. The damaged tooth is first removed. The patient’s jawbone is prepared for surgery, which may entail bone grafting if s/he suffers from bone loss. When the jawbone heals, the oral surgeon places the dental implant metal post in the jawbone. The surgeon places the abutment first and then the new crown. The entire process can take anywhere from three to nine months. Much of that time is devoted to the healing process, as well as waiting for new bone to grow. Why Look Into Dental Implant Treatment in Mexico? There are plenty of benefits of choosing to get low price teeth implants in Mexico. Of course, you have to be circumspect enough to choose a dental clinic and implantologist of standing. The low cost of dental implants in Mexico is the number one reason to consider traveling to the country. Even after taking into account plane fare, accommodation and miscellaneous travel expenses, the price of dental implants in Mexico would still come out significantly lower than what one would expect to pay in the United States. 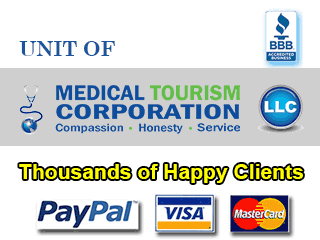 The dental hospitals in Mexico offer a wide variety of services. It is possible to get prostheses such as mini dental implants in Mexico. If you want a quick solution to your missing teeth literally, you can also get “teeth in a day”- more technically known as same day implants – in Mexico. Mexico is very closely located to the United States. The short distance from numerous American states and cities is the probable reason why it is possible to get cheap teeth implants in Mexico, even when you count in the transportation costs. Another advantage that comes with Mexico’s close proximity to the United States is minimal language barrier. Most dentists and other medical staff in the leading clinics of the country can be counted on to speak and understand English. If you want a few days to relax after your taxing dental procedure, Mexico is the place to do it. The country has plenty of popular vacation spots, such as Cancun and Puerto Vallarta. US citizens do not need a visa to enter the country, so it is possible to go to Mexico on a short notice. However, this doesn’t mean that you can travel without your passport to the country (you would require it to re-enter the United States). If you wear all your valuables and put them on display, they will attract the eye of pickpockets. Mexico is no different, so keep those valuables away and out of a pickpocket’s prying hands. Do not engage in any illegal activities while in Mexico. It is illegal to deal, buy and sell drugs in Mexico. Mexico can get quite overrun with tourists, so make sure you make reservations for accommodations ahead of time. Low priced dental implants in Mexico are a great alternative for those who want to save money on their missing teeth replaced. Submit the free quote request form on the right for more information on Dental Implants in Mexico.